It’s reassuring to discover that heroes, both ancient and modern, are not somehow supernaturally endowed after all. Indeed, they may come by their skills quite naturally. In the thoroughly absorbing Natural Born Heroes, which tracks heroism from the times of Zeus and Odysseus to the World War II bravery of a motley crew of fighters, Christopher McDougall makes it clear that incredible acts of strength and endurance are doable. His extensive knowledge of fitness training, nutrition and physiology winds artfully around a tale of superhuman resistance during the Nazi occupation of the Greek island of Crete, Hitler’s designated launching pad for the invasion of Russia. By the time Crete’s WWII heroes succeed, we know every detail of how they did it, and how, by reviewing the knowledge and skills they possessed, it is possible for their modern counterparts to do the same. Our skills are inborn, McDougall argues, forgotten perhaps, but recoverable. These “natural strengths” can make anyone useful in the most challenging situations. Just ask Norina Bentzel, a Pennsylvania school principal who in 2001 saved her kindergarteners from a machete-armed intruder. At the heart of McDougall’s story lies a similar David versus Goliath duel. The Goliath in this case was Hitler, who never saw these Davids coming. A band of British special forces—described as the least-likely combatants in all of Europe—managed to kidnap Nazi General Heinrich Kreipe in 1944 under the very nose of his fellow commander. Nazi retaliation against the locals was swift and bloody, yet Cretan resisters risked their lives to aid the kidnappers. How did they—both British commandos and locals—manage to flee the Nazi pursuers and traverse a mountain, with very little food or rest, and challenges at every turn? 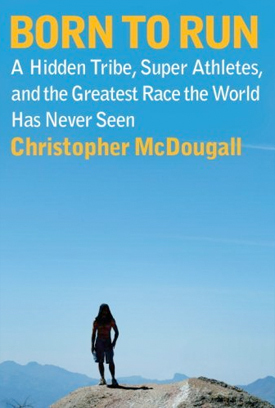 McDougall, author of the 2009 bestseller Born to Run and himself a highly trained athlete, solves this mystery with a witty eye for every detail, inspiring his own captive audience along the way. This article was originally published in the April 2015 issue of BookPage. Download the entire issue for the Kindle or Nook.